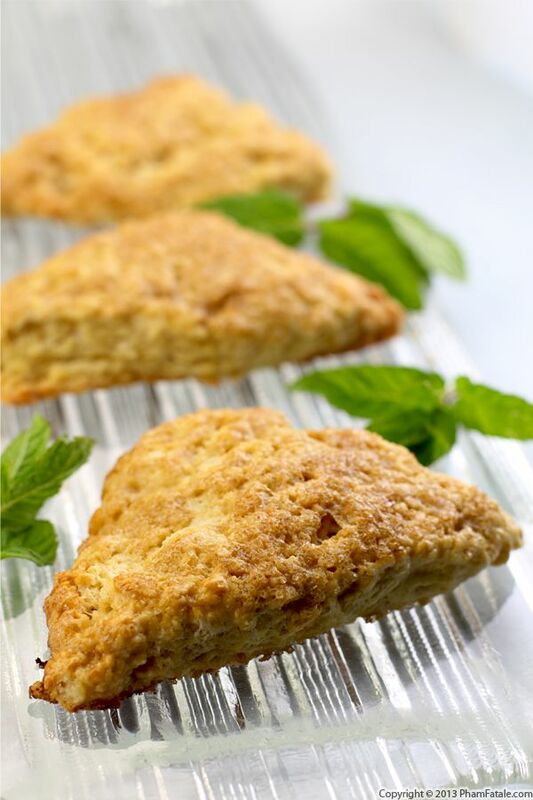 Scones are sort of like a sweetened version of biscuits. 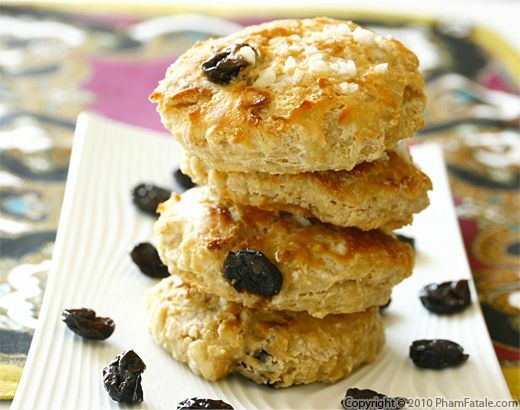 I used buttermilk to wet the dough, as you would for biscuits, but I then added dried cherries for sweetness. You don’t want the scones to be as sugary as French pastries, because scones are typically eaten with jam. I spent most of my childhood vacations in Great Britain, and what I remember most is how wonderful English breakfast and tea time food was. Between the wonderful tea selections, orange marmalade and scones, I can't recall better breakfast fare anywhere else. This weekend I felt like introducing my little 5-year-old munchkin to the scones I enjoyed in my childhood. She helped me measure everything, all the while proudly spelling out loud every single ingredient while nibbling on the extra dried cherries. She's in kindergarten and is so eager to learn. Cooking with children is a great way to give them a little knowledge about food, while at the same time introducing them to spelling and a little bit of math. Teaching small children how to read and count should be kept fun and lighthearted, and I can’t think of a better way to do so. Unlike sour cream biscuits, the buttermilk biscuits I make "only" call for butter. No shortening. 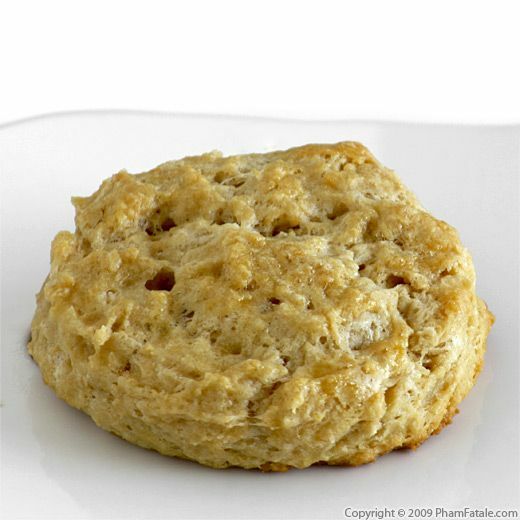 The result is an intensely nutty flavor; however the biscuits don't rise as much without shortening because of the natural water content in butter. It's a worthwhile tradeoff. I absolutely love buttermilk biscuits. We don't have them in France, so my first experience with them was in the US. It was quite a revelation. Biscuits are great with gravy, but I find them so flavorful that I often make a batch and eat them as is. I personally love homemade turkey gravy with all the caramelized bits and drippings of the roasted turkey, so I was a bit skeptical when Lulu asked me to try his vegetarian miso gravy recipe. 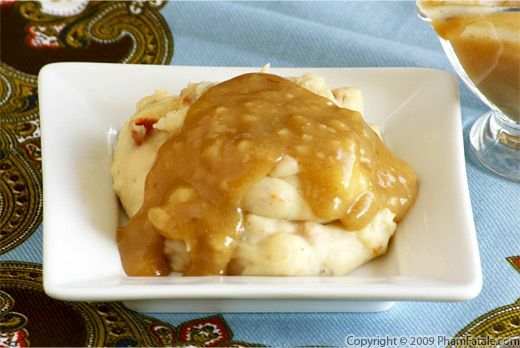 I couldn't believe that it would have the complexity of flavors that are present in traditional giblet gravy, but to my surprise, it was absolutely delicious. 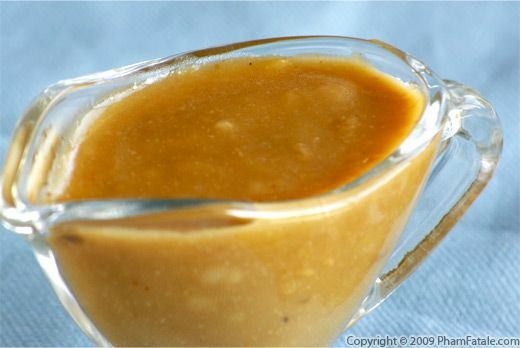 Miso is fermented soy bean paste, and it imparts a strong, earthy flavor to the gravy. For additional flavor I added fried onions and chili flakes. Butter and a touch of heavy cream created a rich texture. Even if you don't have a gaggle of vegetarians in your house as I do, it's worth trying out this recipe. Sunny and I woke up very early this morning to prepare a festive brunch for the whole family. We made some fresh juices, smoothies, crêpes, hashbrowns and sour cream biscuits. Making biscuits is a little messy but so worth it. Our family is very fond of buttermilk biscuits, but sour cream biscuits are even more decadent and delicious. The sour cream imparts a tangy flavor and richness that is hard to beat. 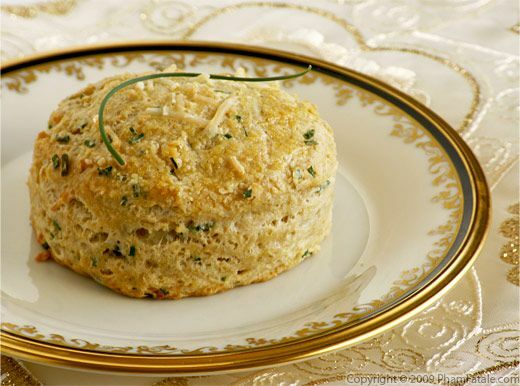 We flavored the biscuits with parmesan cheese and garlic chives from the garden. I don't know if I've mentioned it, but my Aunt Elise is visiting us from Vietnam. She's never had biscuits before, and so she looked at the little rounds of bread with curiosity. After she took her first bite, she was absolutely hooked. Biscuits truly are universal in their appeal.